Note: I've written the following years ago, but have never published it. So why not now? Photography is no different. Whenever you see someone handling a camera or working with film or video in a movie, half of the time you wonder if the actor ever held a camera before shooting the movie. Even if you're only a half-serious amateur, you know what you're shown is either plain wrong or far from reality, and you like to scream “hey, get a clue before shooting such a movie!”. I bet you have seen all of the following at least once in a movie or TV show. Firmware 1.07 for the SLT-A77 officially added only lens compensation support for a few extra lenses. But Sony has the unfortunate habit of including other improvements without announcing them. Improvements are always welcome, but I don't quite understand why these are not made official. This might be a false sense of pride to not admit mistakes. Anyway, back to hidden improvements of the new firmware: With firmware 1.06 I got quite inconsistent flash exposure. Exposure varied within about ± 1 stop around correct exposure. This happend with the Minolta 3600HS (D) mounted on the camera, but was also reported for other flashes. After some experiments I finally found that this was connected with the Electronic Front Curtain. When you turned the EFCS off and used the mechanical front curtain, flash exposure was back to normal. Now with firmware 1.07 installed, flash exposure with the same flash is very consistent. There's no longer a difference when the EFCS is on. Unfortunately, the Macro Flash Controller MFC-1000 with the Ring Flash mounted still does not work with the EFCS: the flash does not sync correctly with the camera, and no light from the flash ends up in the picture. With this setup you still need to turn off the EFCS, and only then you get a working Ring Flash. The gallery with the pictures from my recent journey through southern Norway are now online. The rumors for big Sony announcements on August 29th have been out for a while now, and it seems they are not unfounded. Unfortunately I'm practically on my way to Norway at the same time, with limited Internet access. So I will not be able to add the new Sony hardware to my tech tables before I'm back in two weeks. Please be patient that this site is not as up-to-date as it usually is. There were some problems with Minolta TCs and the Minolta 300/2.8 and 600/4 APO telephoto lenses. 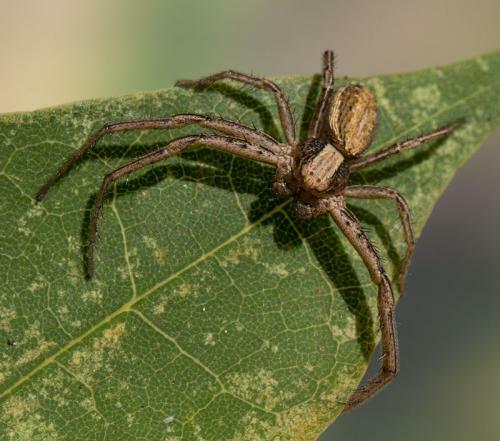 After some minutes of use, the camera would only hunt for focus. Firmware 1.05 reportedly has fixed this issue. If you find other improvements, please comment below, and I'll update this posting. Rumor had it for some time, and today Sony has released firmware version 1.05 for the SLT-A77 and SLT-A65. In total, the A77 and A65 now can auto-correct a total of 12 lenses. Improved response time for camera shutdown, auto-review, front and rear dials and playback. Improved AF response for the Sony Alpha 500/4 G SSM. Improved AF accuracy for high-contrast targets. Unfortunately, the restrictions of many features to JPEG-only mode (and in particular, the necessity to manually switch to JPEG-only to access these features) were still not lifted. Other improvements of usability, e. g. the ability to remote-start movie recording or the ability to customize more buttons, are also lacking. 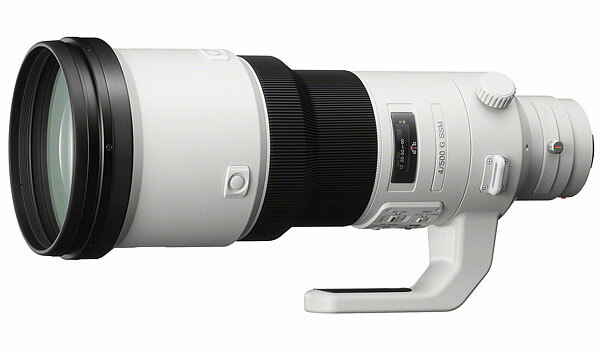 Sony has today announced their long-awaited AF 500/4 G SSM lens for release in March 2012. Little has changed compared to the last version that Sony has shown. Most obvious is the change of the finish. Sony seems to move away from their silver-colored lenses again. The final version of the 500/4 is painted plain white, with no shiny patches of orange. The lens in its official finish fits well into the line of earlier G lenses, like the 70-200/2.8 and the 300/2.8, with only the 70-400 sticking out like a sore thumb. Sony has also released the final technical data. There are also few surprises there. The lens is officially sealed against moisture and dust, and a new lens element coating technology promises to cut flare to a new low. Also as expected, the lens is compatible with the 1.4× and 2× teleconverters. AF is maintained with the 1.4×, with the 2× only manual focus is possible. Sony has just released firmware 1.04 for the Sony SLT-A77/A65 (for example, click here and here to download). As usual, this is a common upgrade that can be installed on all regional models. Of course, you will still get only the languages and features of that regional model. This means the A77 now automatically corrects vignetting, chromatic aberrations and distortion of 6 lenses. I will update my A77 review as soon as I'm back home next weekend. After installing version 1.04, I found there is no need to update the review. The reason is that none of the problems described there are fixed! I can confirm that Lens Compensation works with the 16-80/3.5-4.5. Other than that and the version number, I do not find any difference! The control wheels react as sluggishly as before, turning off the camera still takes about 5 seconds, viewfinder switchover has not improved, and none of the problems and bugs described in my review were fixed. I read about the problem that in single shot mode the camera sometimes recorded two images with a single press of the release button. But I never experienced this before, so obviously version 1.04 does not fix this for me. I can not confirm that the shutdown hang was fixed, because I experienced it only once, anyway. When you buy your first SLR, you soon notice that it's not a good idea to let it bang at other objects when you carry it around. So you buy a bag for it, e. g. one of the abundant top-loading bags. Then, if you've been bitten by the SLR bug, you probably add one or two lenses to your set and an external flash, and so you've outgrown your bag. So you sell your top-loader and buy another bag. And then you buy a tripod, or a larger lens, etc. And at this point, you realize: that one ideal bag simply does not exist. A bag that can hold everything you own is just overkill when you only take a walk in the park. Over the time, I've owned seven camera bags, used another two, and until shortly, I was left with just three. 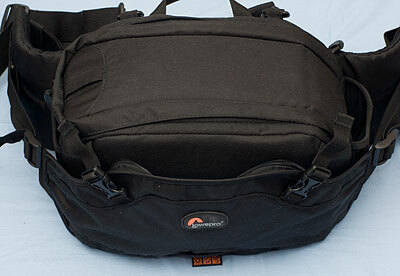 Now I've yet again bought a camera bag (it's impossible to have too many), the Lowepro Inverse 200 AW. 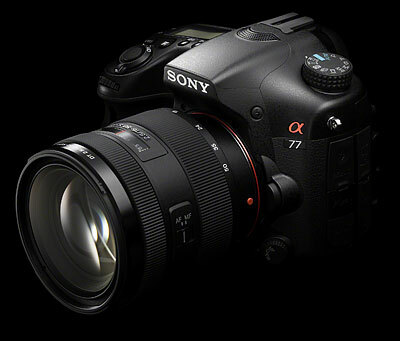 On August 24th Sony has released the SLT-A77 camera. It took a while before it became available in Europe, but I recently bought one. Here are my first impressions of the camera. You will not find 100% crops of highest-ISO shots in this review. This is not my shooting style, and it's not my review style. You will also not find detailed descriptions of all features and menu items. What I write about here are my impressions of the camera in real-life use, and other thoughts. Obviously the A77 is compared a lot with its predecessor, the A700, and this review is no exception. Every law of nature that becomes apparent to the observer hints towards a higher law of nature that is still undiscovered.